According to this year’s Freedom in the World report, compiled by Freedom House, Estonia is among the freest countries in the world – and even more free than the United States. 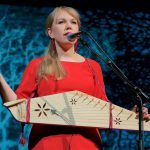 Estonia scores 94 out of a hundred in the Freedom in the World 2018 report, ranking the country the 20th to 27th freest in the world. Other countries that also scored 94 were Austria, Chile, Cyprus, Germany, Spain, Tuvalu and the United Kingdom. 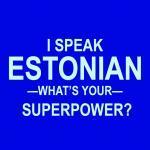 Estonia is designated as overall “free”, also scoring top marks in political rights and civil liberties. 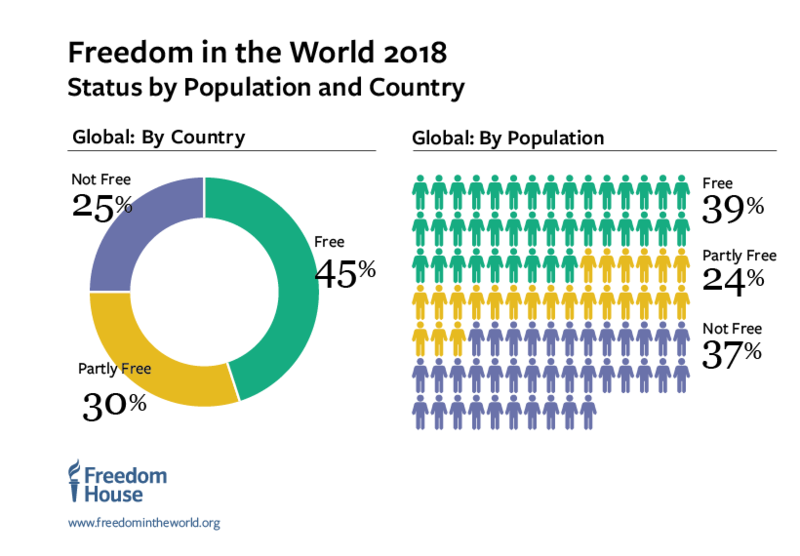 According to Freedom House, the number of countries designated as “free” stands at 88, representing 45 per cent of the world’s 195 polities and more than 2.9 billion people – 39 per cent of the global population. 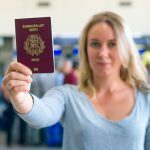 The freest countries in the world – scoring a perfect 100 – are Finland, Norway and Sweden, followed by Canada (99), the Netherlands (99) and Australia (98). 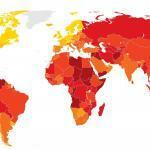 The United States, usually regarded as the beacon of democracy, only scored 86 in this year’s report. For the first time, America’s political rights’ score has declined from 1 (most free) to 2, and Freedom House says it’s “due to growing evidence of Russian interference in the 2016 elections, violations of basic ethical standards by the new administration, and a reduction in government transparency”. When looking at Estonia’s closest neighbours, then Lithuania scored 91 (free), Latvia 87 (free) and Russia 20 (not free). 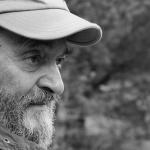 The report also notes that democracy is in a global crisis and its values are under assault all over the world. 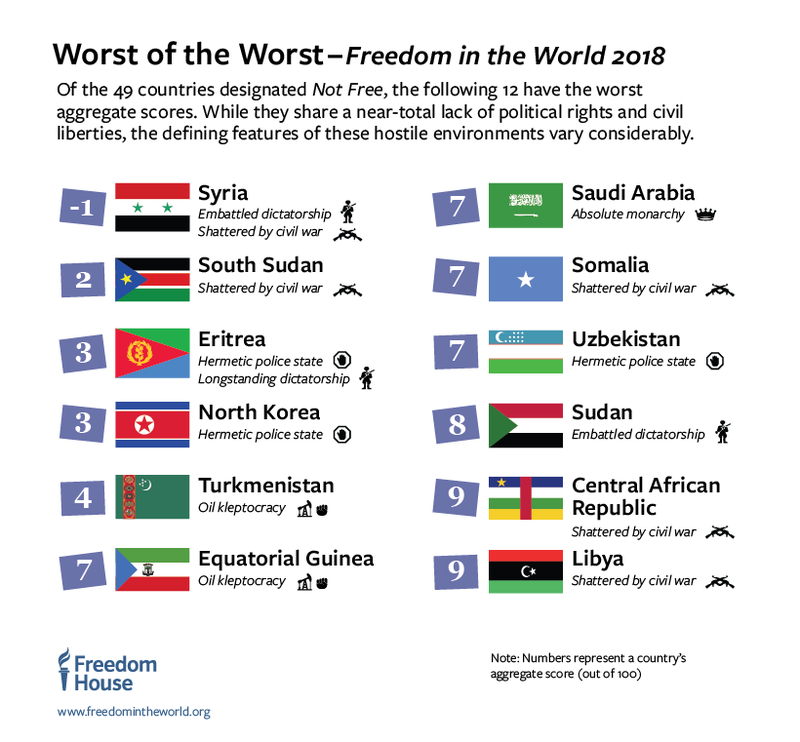 “For the 12th consecutive year, according to Freedom in the World, countries that suffered democratic setbacks outnumbered those that registered gains,” the report says. The Freedom in the World report was launched in 1973. It produces annual scores representing the levels of political rights and civil liberties in each state and territory, on a scale from 1 (most free) to 7 (least free). Depending on the ratings, the nations are then classified as “free”, “partly free” or “not free”. Freedom House is a US-based non-governmental organisation that conducts research and advocacy on democracy, political freedom and human rights. 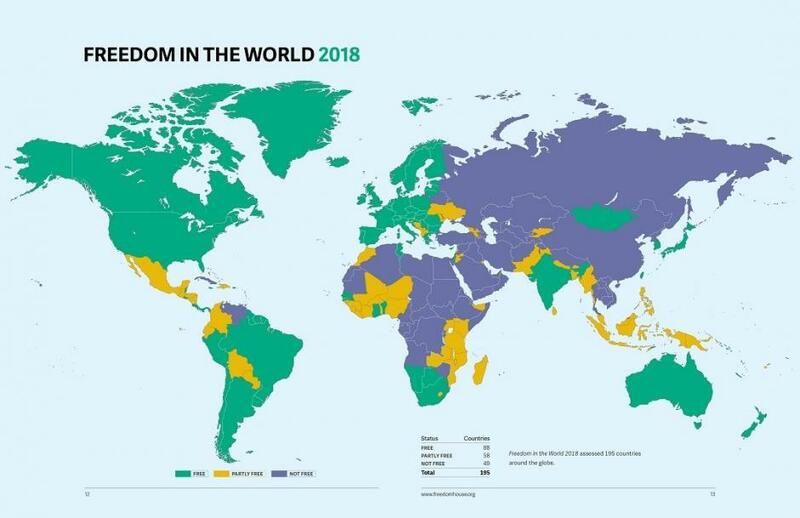 Cover: Freedom of the World 2018 map (images courtesy of Freedom House).